Most of us would be familiar with the traditional method of brewing tea with hot water. Even our teh ais is brewed hot before it gets cooled down with ice cubes. But, like the cold-brew coffees that have been seeing a slow but steady rise in popularity in cafés, cold brew teas are also now making their appearance. Cold-brewing provides the tea drinkers with a whole new experience and sensation of drinking tea as proponents say it gives a stronger aroma and a sweeter tasting tea. Because the teas are not in contact with hot water, cold-brewed teas have lower caffeine and astringency (the drying out effect on your tongue which makes you go blah!) while still maintaining all the health benefits of the tea. There are many ventures out there selling tea leaves or tea in brick-and-mortar establishments but not many may sell teas that are ready to drink. Most existing ready-to-drink bottled teas in the market can be found in major shopping outlets but those are usually sweetened and filled with preservatives. 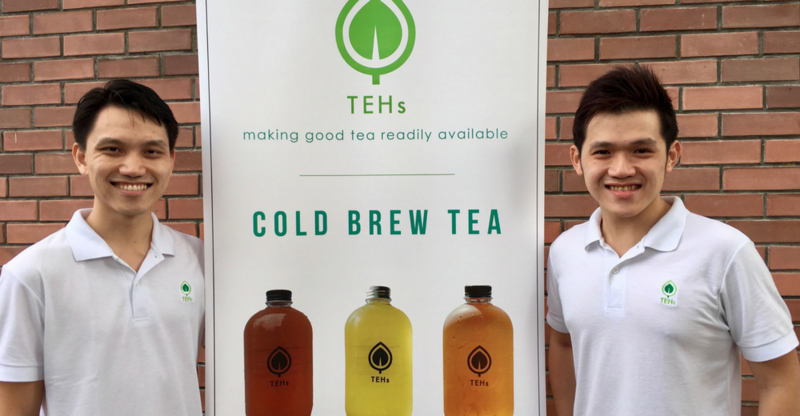 So to battle this and find a way on making cold-brewed teas more available in Malaysia, this duo started TEHs where their teas focus on being brewed fresh from quality loose tea leaves in order to not lose any of its natural aroma and taste. It all actually started off as a casual chat between the two co-founders, Edward Teh and Teh Li Ruey. With both of them working in an investment bank and being avid fans of tea, they began talking about how difficult it was to find a good cup of tea right where they were in their office in the middle of the city. “There are so many places selling artisanal coffee and yet teas are often offered in just tea bags or are heavily sweetened. We saw that a lot of work can be done in the tea space to revitalise the industry and ultimately, bring tea to its next stage. 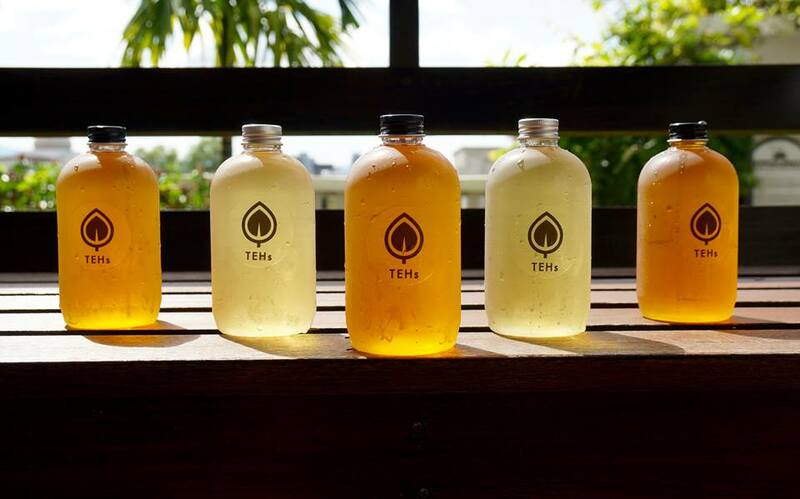 TEHs was founded with the intention of making good tea more accessible so like us, people who loves tea can get their tea fix anytime they want and still enjoy the health benefits of tea,” said Edward to Vulcan Post. So deciding to start on this venture as a side project, TEHs came to be. Currently listed on their website are 4 options for customers to choose from: Golden Osmanthus which is cold-brewed oolong tea, Huns N’ Roses which is Tisane (Herbal tea) with raw honey, Pala Imperial which is cold-brewed Darjeeling tea, and finally Snow Chrysanthemum which is another cold-brewed Tisane. Once a customer clicks on a product, they’re able to see the ingredients used to make the tea along with the types of taste it may have. The prices are RM7.90 for a 300ml bottle and RM9.90 for 500ml. Their business primarily runs online on their website but they have booths in bazaars from time to time. After their recent relaunch, customers can now place their orders online and have their TEHs delivered to them straight the next day. Delivery fees are ranged according to location and also depend on how much is ordered. Not all of their cold-brewed teas would taste exactly the same, another downside when it comes to using the cold-brew method. “Whilst we do everything in our control to ensure that only the best quality of teas goes out, our teas do occasionally taste different. The reason for this is due to different batches of tea leaves used. Although the tea leaves are grown at the same place and harvested using the same method, there will be slight variation in them from batch to batch due to the climate and season of harvesting. Take the Golden Osmanthus for example. The tea leaves that are harvested in spring would be more fragrant while the tea leaves that are harvested in autumn would be more tasteful simply due to the season of harvesting,” said Edward. The duo takes everything into consideration when it comes to TEHs, including the packaging used. “We favour plastic bottles for their light weight and ease of carrying around. Also a bonus, our bottles can be recycled so if you return them to us, we’ll recycle it for you. This is our way of contributing to saving the planet!” said Edward. Being a new business, recognition does not come easily but they’re pleased to find a number of their customers coming back several times for their TEHs and even recommending them to friends and families. Delving into the industry of selling tea was a new eye opener for them as prior to that, they hadn’t really been exposed to what proper grounds were available for them to promote their product. They even admitted that they hadn’t even heard of selling beverages at bazaars to get the word out. It took some trial and error and some help from friends and family to help them find the best avenues to market their product. The TEHs team have shared that they are looking on launching more flavours in the next few months to add to their existing range already. “We have learned to better identify our target market and to listen to our customers on their preferences, so we are constantly experimenting with new flavours on the back-end to add to our product range,” said Edward. 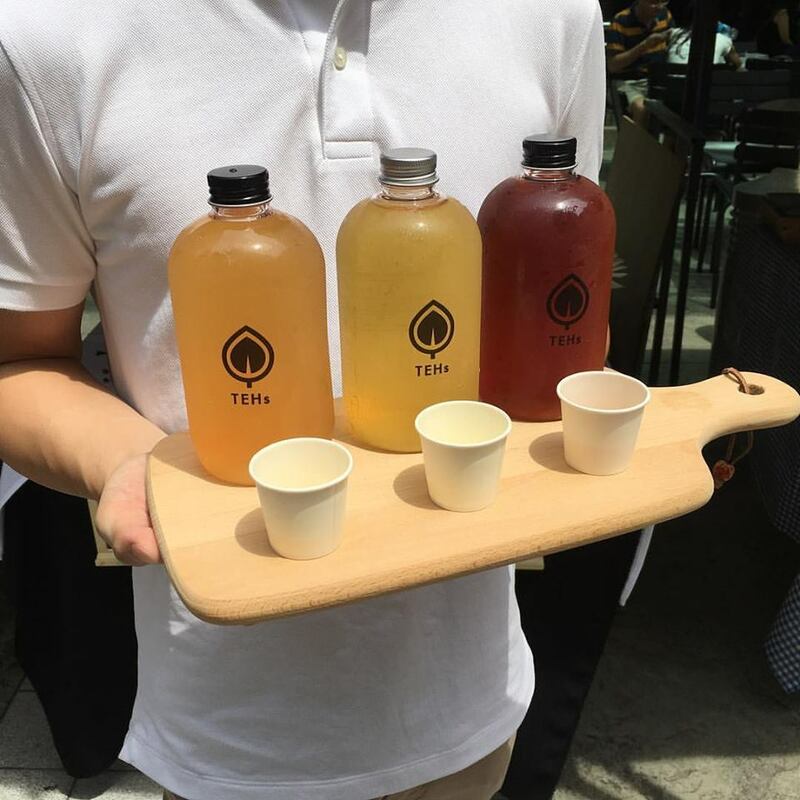 As cold-brew teas are still not in mainstream demand, the duo hope to grow TEHs into a brand that that customers will consider as an alternative to beverages already on market. 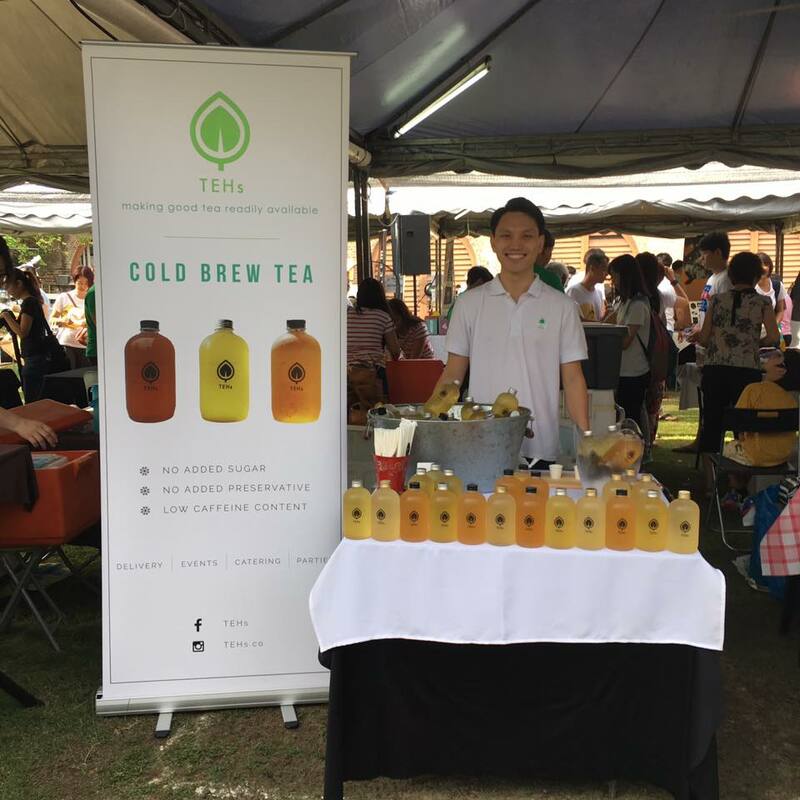 “It is a huge leap to get there but we are very hopeful for the future of TEHs as more people start to appreciate teas and look for healthier alternatives for their consumption,” said Edward.